Hospice or end of life care is a type of medical treatment practiced by physicians on a chronically filled patient with low chances of survival. This is often practiced by people with a terminal disease like HIV, and cancer. Before a patient is taken to the Hospice care, they must have tried all the treatment options and concluded that death is inevitable, particularly in the end stage of a terminal or deadly disease. Hospice is focused on try to make people enjoy their last moment before dying. It is the place to go when all hope is lost, and you want to ensure that the patients get the most comfortable care possible before dying. They are not focused on curing the patient or providing solutions to the patient’s problem; rather, they are focused on ensuring that the patient feels as little pain and discomfort as possible before dying. Hospice care begins their job, only when treatment is stopped, and it has been confirmed that the patient can’t recover from the illness. They are involved in meeting the needs of the patient’s need emotionally, psychological, and spiritually before dying. These services can be provided by a group of health care professionals or volunteers who just want to serve humanity. The duration of a hospice patient is a maximum of six months. This type of medical attention is not bounded by location; they can bring it close to you. It is usually done at home, in a hospice center, in a hospital, and in nursing homes. The location of the services rendered doesn’t matter, all that matters is the care and support a dying patient can receive. This type of medical care also caters for the loved ones of the dying patient and teaches them how to cope with caring for a sick patient. Hospice medical care gives a patient control over their lives and increases their options for living. Medical and nursing practitioners, Spiritual advisers, trained volunteers, pharmacist specialists in different fields of medicine. Palliative care is a multidisciplinary approached used by doctors to improve the quality of life of a patient.It can be offered at any time of the treatment process, either when the illness is diagnosed, during treatment, follow up, or end of life.It is always combined with curative medicine, which means it can be performed during the treatment of a patient. It helps in preventing and treatment of symptoms and side effects of procedures and treatments. They contribute in solving various physical, emotional, spiritual, problems through various pharmaceutical and nonpharmaceutical means. When the physician can confirm that the treatment is not responding. Physical problems: Physical problems such as pain, dyspnea, insomnia, and anorexia can be treated with drugs, nutrition, physical, occupational, and integrative therapies. Emotional problems: These kind s of problems includes the stress of taking care of a sick patient, depression, anxiety, fears, Palliative care can help in solving this problem by providing family and social supports, counseling, and educational programs on how to live with their disease, and mental treatment if necessary. Social problems: These problems include financial issues, loss of job and money, inabilities of the family to meet the patient’s needs. These problems are solved by the provision of various business counseling, and education about the best financial programs available for the patient. Since Both Hospice and Palliative Care Are Focused on Improving the Quality of Life of Patients, Then What Is the Difference Between Both of Them? Targeted audience: Palliative cares is aimed at patients during any course of treatment, either after diagnosis, during treatment, or follow up, Hospice care targets patients, with no other option of therapy, but only want to live a quality life before dying. Palliative care also focuses patient with the hope of recovery or experiencing progression of disease symptoms. Approach and intention of care: The aim of palliative care is on the high quality of life and curing disease. It takes a curative approach to their medical care, while Hospice care is only interested in improving the quality of life of the patient before they die, and takes a quality approach. This is why hospice care has a short span of six months. Timing: There is no time restriction for palliative care, and it can be received at any period. It is not time restricted and bounded, but hospice care is time confined to within six months of death or when the disease is confirmed terminal. Payment plan: hospice is funded through an all-inclusive payment plan while palliative care is funded by your regular insurance company. 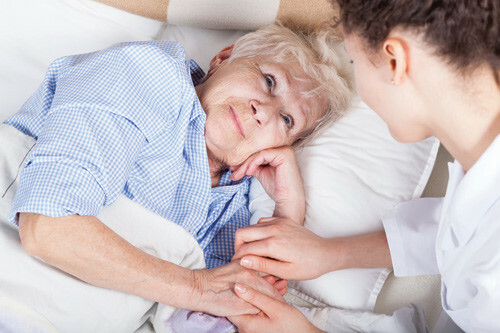 Treatment goals: Hospice Care’s treatment focuses on increasing the comfortability of the patient while palliative care focuses on both comfortability and curing the patient’s illness. The degree of risk taken: Hospice care does not involve risk since they just want the patient to be comfortable till they die, while palliative care always tries the latest treatment, and risky procedures, since they still have to cure the patient in mind. At What Point Should Palliative Care Be Stopped and Hospice Care Commenced? 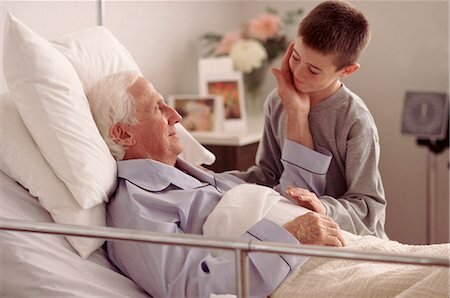 This is a common question, “When should we give up or when should we transfer our patient to the nearest hospice care center?” The patient should only be moved to the hospice care when the patient is within the last six months of death; treatment is no longer active, the probability of survival is declining and very little. Palliative care should be stopped as soon as the doctor realizes that the patient is just wasting money and time, and the result is going to be the same nevertheless. There is no point risking the patient for various side effects of medication, diagnosing and treatment procedures when you know the patient is going to die anyway. Patients should be allowed to enjoy their remaining days on earth, without the side effects of various drugs, radiation therapy, diagnoses, and treatment. When a patient is diagnosed with a terminal disease or is at the end stage of a terminal disease like cancer.Treatment should be the first option, once all treatment is exhausted, or the probability of survival is already very slim, Directing the patient to the hospice care center is the best choice. At the hospice care center, the patient is going to be well catered for and given a chance to have quality moments with family members and enjoy the little time they have left to live. The answer to this question, “When should we go to the hospice center?”, is as soon as you are told by the medical practitioner that the chances of survival are small or the treatment is not working. Does Insurance Covers for Hospice Care? Yes, the insurance covers for hospice medical care through an all-inclusive payment plan. This program includes all expenses. Nevertheless, the content, advantages, and disadvantages of this scheme depending on the type of insurance. Some insurance companies subsidized the price for disabled people or patient not under their insurance plan. Before signing for a hospice care insurance, Ensure to get full details of their payment plans, benefits or disadvantages of these programs to you. Ask relevant questions about the payment plan you want to choose. Ensure that they explained all the necessary information and documentation concerning the payment plan to you before you start. This information is required because no one wants to be worried about insurance and payment plan while taking care of a dying loved one. We all want to focus on giving the best quality of life to this loved ones, and not bothering about insurance policies. The best insurance policies are policies that cover your expenses and give you the freedom and financial flexibility needed to enjoy yourselves and take care of dying loved ones. So don’t be scared of going to that hospice care center, your insurance has got you covered. Will Medicare Cover Palliative Care? This is another common fear patient ask, Why should I risk my money on palliative care, we guarantee the outcome? You can take care of your health, have it in mind, that your Medicare would cover your expenses. Since the majority of your palliative care would be done in your general hospital and by your practitioner. Your standard medical insurance would cover for these expenses. Some out- patient services received could be billed separately from services received in the hospital. All the services incurred are catered for by the regular medical insurance. Your normal insurance rules, tariffs, and benefits are applied as usual. Why Is It Hard for Physicians to Understand Palliative Care? Confusion of terminology: Most doctors find it hard to comprehend palliative care because they can’t differentiate between palliative and hospice care. Their thought is usually that, why caring for the patient, when the patient might end up dead. You can’t participate in what you are ignorant about; Practitioners should be enlightened on the difference between Palliative care and hospice care, the benefits they provide to the patients. Most physicians are used to providing palliative care as a component of end –of life care, so they are not used to providing extra care for someone that is going to live or has a higher survival rate. Opportunities for discoveries: The rate of discoveries in medicine is a motivation to get physicians to participate in providing palliative care, It has been discovered that many metastatic disease patients can increase their survival rate with the help of palliative care. Children are often neglected because they command less attention compared to adults, and have a lower ratio of death. Often pediatric palliative care is covered by private health plans covered by employers. Awareness should be created concerning pediatric palliative care because these children are the leaders of tomorrow and deserve a voice and opinion. They should be considered part of the population and not just a minority because of their age. Can Palliative Care Extend Quality of Life Before Hospice Care? Yes, palliative care can extend quality of life for hospice care. Most patients receiving hospice care has undergone palliative care earlier in their various hospitals. Hospice care is for those that are not responding to treatment or are about to die in the next six months. Most people receive this information about their response to treatment, and how much time they have left, during or after their palliative care. 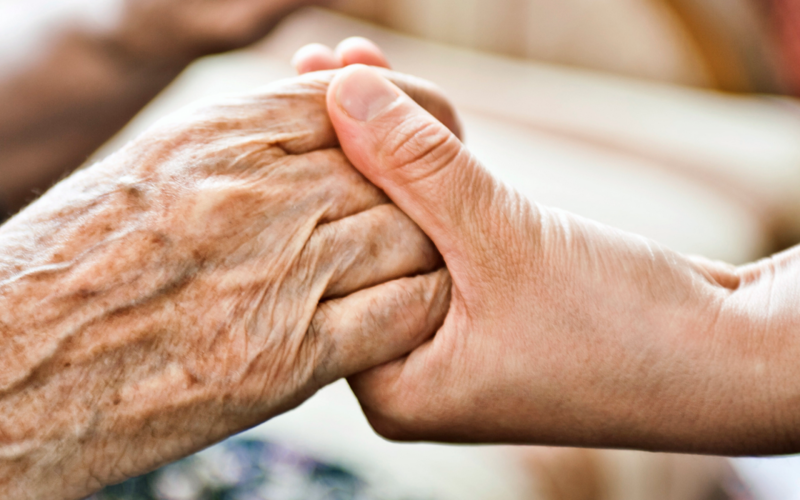 Palliative care is a necessary predecessor to hospice care. The function of palliative care is to give the patient a fighting chance and explore all treatment options before transferring them to the hospice care. Patients that fail to respond to palliative care are transferred to the hospice care department. The best way to live through the end stage of your life is to contact the nearest hospice care center around you, spend more time with family members and loved ones. Are you scared or confused on what to do, after being told you have six months left? Contact the nearest hospice care center around you for answers. Back, A., Arnold, R. and Tulsky, J. (2009). Mastering communication with seriously ill patients. Cambridge [England]: Cambridge University Press. Berlinger, N., Jennings, B. and Wolf, S. (n.d.). The Hastings Center guidelines for decisions on life-sustaining treatment and care near the end of life. Campbell, M. (n.d.). Case studies in palliative and end-of-life care. Cavallo, J. (2017). Overcoming Physician Bias in Recommending Palliative Care – The ASCO Post. [online] Ascopost.com. Available at: http://www.ascopost.com/issues/april-15-2014/overcoming-physician-bias-in-recommending-palliative-care/ [Accessed 7 Sep. 2017]. Families, I., Field, M. and Behrman, R. (2017). FINANCING OF PALLIATIVE AND END-OF-LIFE CARE FOR CHILDREN AND THEIR FAMILIES. [online] Ncbi.nlm.nih.gov. Available at: https://www.ncbi.nlm.nih.gov/books/NBK220800/ [Accessed 7 Sep. 2017]. Kissane, D., Bultz, B. and Butow, P. (2010). Handbook of Communication in Oncology and Palliative Care. Oxford: OUP Oxford. Korones, D. (2017). Pediatric Palliative Care. Oxford textbook of palliative medicine. (2015). Oxford: Oxford University Press. Pantilat, S., Anderson, W., Gonzales, M. and Widera, E. (n.d.). Hospital-based palliative medicine. Snyder, L. and Quill, T. (2001). Physician’s guide to end-of-life care. Philadelphia: American College of Physicians.